First off, I’m not an anti-candy mom. I love the holidays, and treats are a fun part of them. However, we get A LOT of trick-or-treaters. The last several years we have spent $20-30 on candy and still had to turn kids away when we ran out. I thought it was a little exciting to see that I could hand out small toys and it would be CHEAPER. Stick-on Earrings. How fun would these be to hand out? And they are cheap too. You can get 144 pairs for around $5! Crazy Eye Patch Assortment These look way fun. I would have loved to have gotten one of these at someone’s door. Foam Gliders. Not as cheap as stickers, but much more fun! Nose Pencil Sharpeners. Very appropriate for the holiday, don’t you think? Jack O Lantern or Halloween Erasers. Syringe Pens. These things are awesome and very fitting for Halloween. Monster Stress Balls. These aren’t as cheap, but if you have the budget for a little more, these would be super fun to hand out. Fun Glasses. I also really like these zombie glasses. 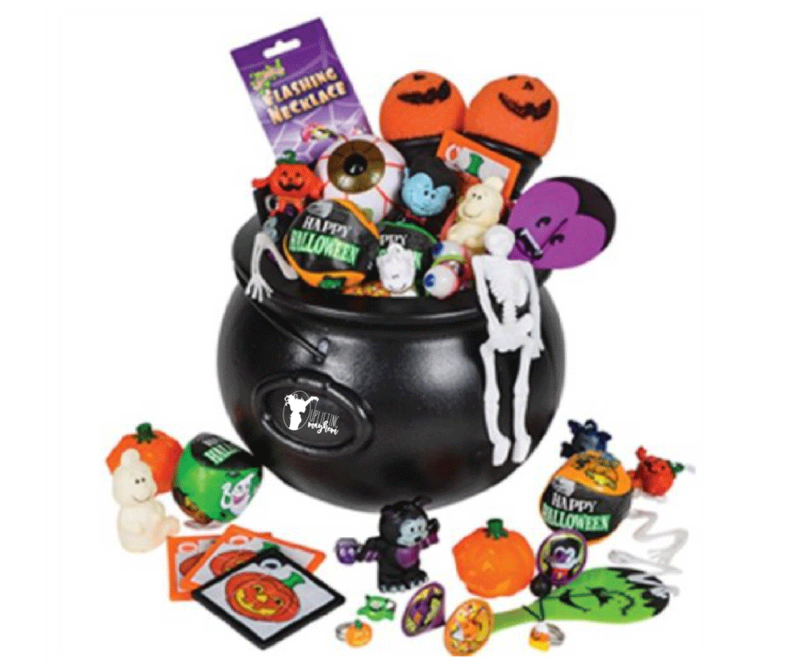 If you would rather buy an assortment of Halloween toys, there are some fun ones here here and here. 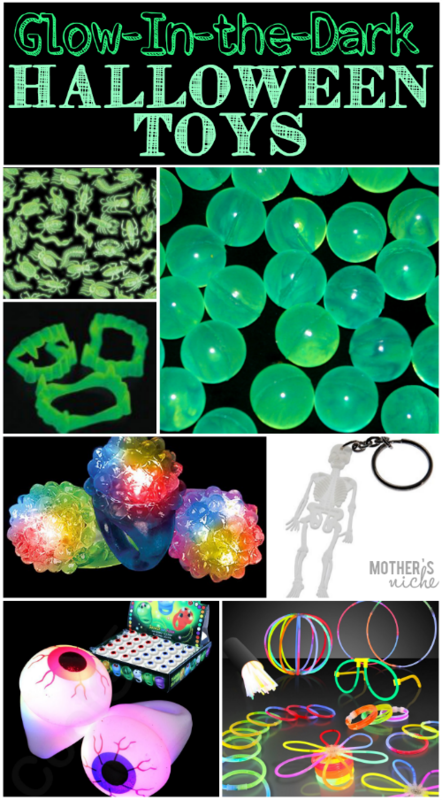 Now for the Glow-in-the-Dark Halloween Toys..
Do you do anything creative for your trick-or-treaters? I would love to hear your ideas!